Discussion in 'iPhone and iPad Games' started by Boardumb, Oct 20, 2016. 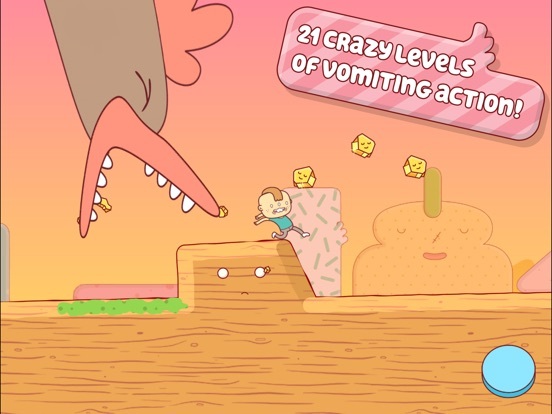 Eggggg is a ridiculous two-touch platform game about vomit. It's an action packed and crazy experience, and tailored for mobile devices. Gilbert has an extreme allergy to eggs. Eating them will literally make him vomit like a fountain. He escapes from his mean aunt Doris in order to get to a birthday party, and needs to use his vomiting superpower to survive a world of angry cyborg chickens... of course. 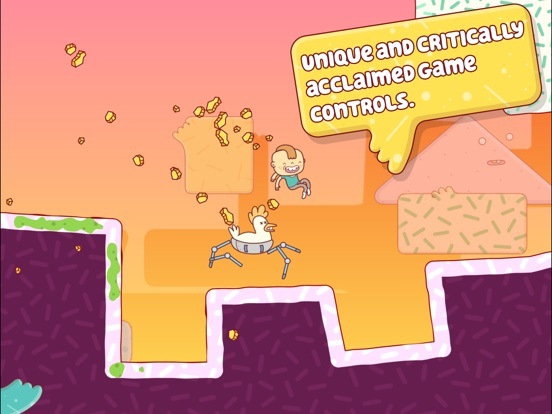 "The most unique platformer mobile's ever seen?" 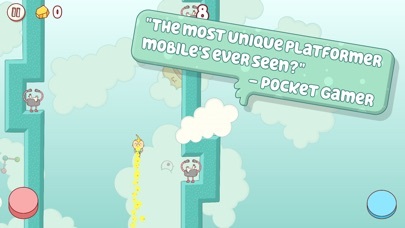 - Pocket Gamer "The final story level is by far one of my favorite video game levels. Period." 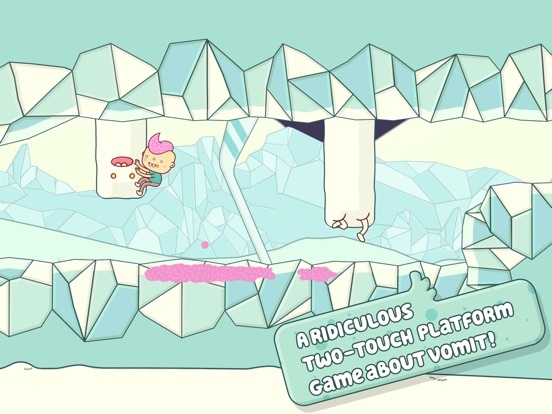 - TouchArcade "This is one of the best mobile games we've played in years." 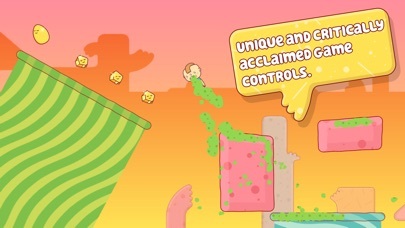 - DigitalSpy In this game you will find * A fun and playful game for young and old * 21 crazy levels of vomiting action * Smooth game controls – tailored for touch devices * Included sticker pack for iMessage on iOS 10 * Eggg, Egggg, Eggggg and Egggggg * Awesome and unique visual style by the Spanish illustrators Brosmind The game is developed by the Norwegian studio Hyper Games, and is based one the movie "Gilbert's Cruel Revenge" by Maipo Film. OH MY GOD. Buy this game NOW. Instant classic. Goty worthy stuff right here. 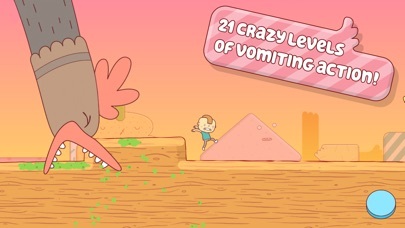 Amazingly polished, fantastic visuals, funny, gross, and adorable all at once. Brings back memories of the first time I played Earthworm Jim! If you love platformers, please treat yourself to this. Also the two touch controls are just brilliant. I was worried this would be too stressful and fast-paced for me, but it seems to give you as much time as you need/want. Then you can try to improve your time to compete in the leaderboards. That might change later, but enjoying it so far! hey AU, how many space on disk does it takes? Dei can't believe it is only 1.99 : crazy unique game that gives plaformers a new name. 20 big, polished levels for two measly bucks is not a bad deal at all. 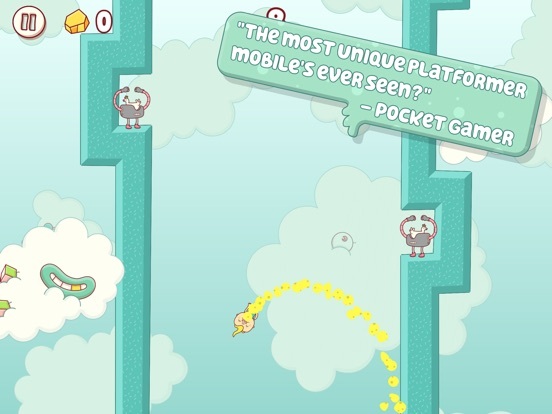 This is one of the best platformers ever released for mobile! 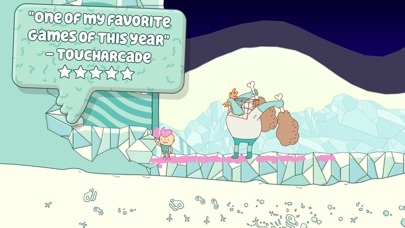 Soooo charming, full of personality, great graphics, music, fantastic touch screen controls. I'm just in level 7 and I don't want it to stop! Brilliant, brilliant release! This game is awesome! The main character reminds me of Phil and LIl from the cartoon Rugrats for some reason so cute! This could definitely be GOTY for me as well. Not at all, I just don't want the game to end so soon! I somehow have to think of Trials of Glork, another gem that's still on my device and one of my all time favs. Loving the game so far, worth the money for sure. Here's hoping they add more levels with future updates. Having a hard time with the second boss, don't know how to land the third strike. Watching the trailer already had me convinced for 90%, but after watching your gameplay I am smashing that BUY button. 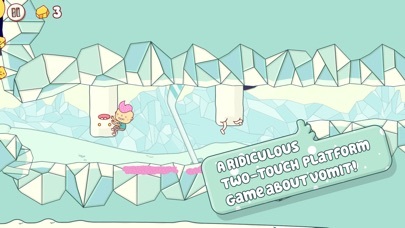 My game of the week and I really haven't bought many games this instantaniously on iOS in a long time. Only watched the first level, but hope the later levels are a bit longer in lenght. Games with this level of soul and originality you don't ever want to see coming to an end!